.....I still have to finish up, weather it, etc. but I can say that this kit isn't great. 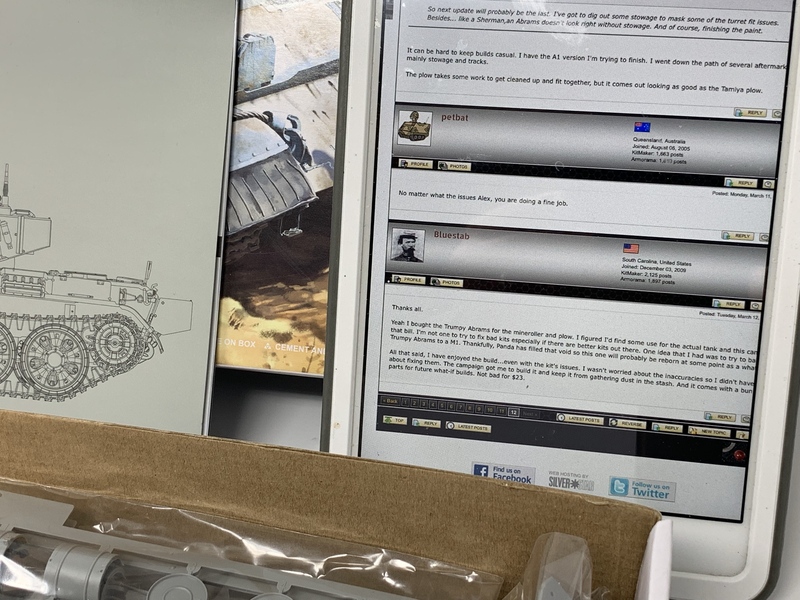 It's a collection of bits from several of their Abrams kits...which go back to 2003. 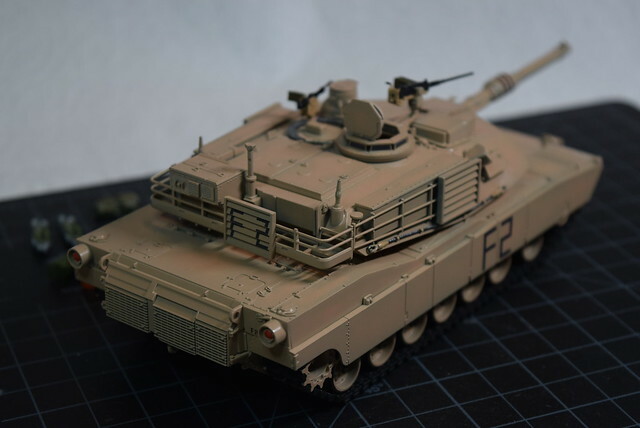 Parts of this kit were used for Hobbycraft's Abrams. It's typical of those early Trumpy kits but it also shows promise...sort of. I'm trying to be positive, but it's sort of a mediocre kit. There are parts that just don't look right. I put it up next to two other Abrams (Academy & Dragon) and they are all different. The kit does come with alot of extra parts...which seems right for a 5-in-1 kit. I build alot of what-if so I'll use these. And I might be setting myself up for disappointment, but the plow and mine roller both look promising. So next update will probably be the last. 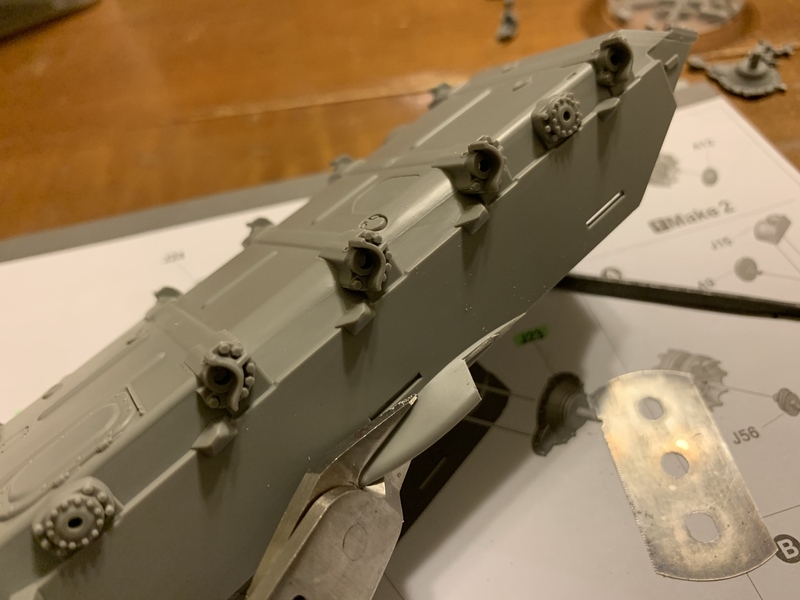 I've got to dig out some stowage to mask some of the turret fit issues. Besides... like a Sherman,an Abrams doesn't look right without stowage. And of course, finishing the paint. It can be hard to keep builds casual. I have the A1 version I'm trying to finish. I went down the path of several aftermarket items, mainly stowage and tracks. 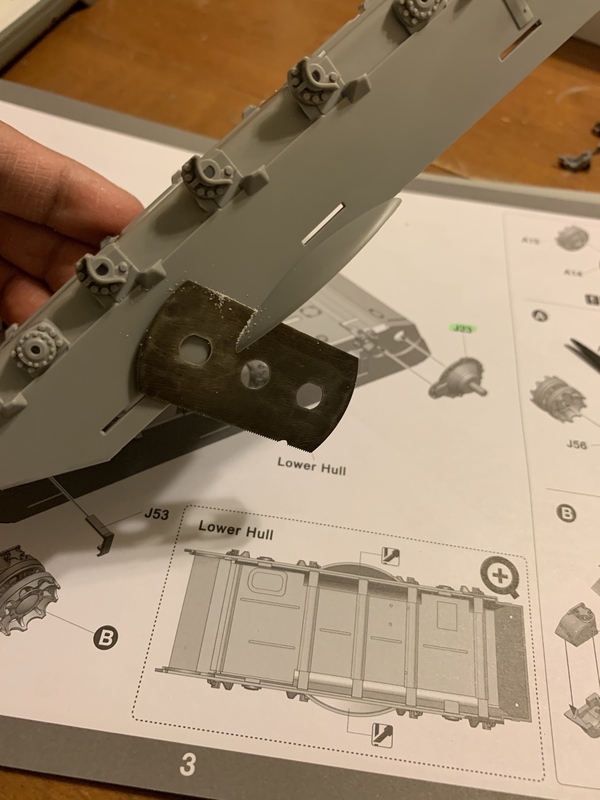 The plow takes some work to get cleaned up and fit together, but it comes out looking as good as the Tamiya plow. No matter what the issues Alex, you are doing a fine job. 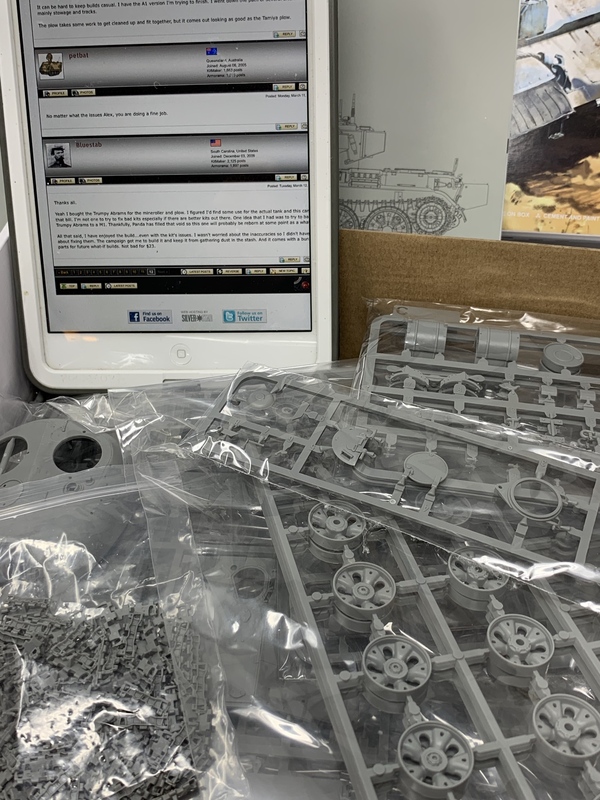 Yeah I bought the Trumpy Abrams for the mineroller and plow. I figured I'd find some use for the actual tank and this campaign fits that bill. I'm not one to try to fix bad kits especially if there are better kits out there. 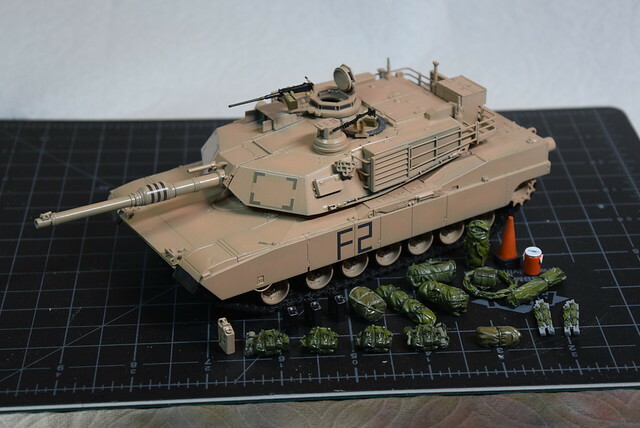 One idea that I had was to try to backdate the Trumpy Abrams to a M1. Thankfully, Panda has filled that void so this one will probably be reborn at some point as a what-if Abrams. All that said, I have enjoyed the build...even with the kit's issues. I wasn't worried about the inaccuracies so I didn't have to worry about fixing them. The campaign got me to build it and keep it from gathering dust in the stash. And it comes with a bunch of usable parts for future what-if builds. Not bad for $23. Here is my entry for this campaign. 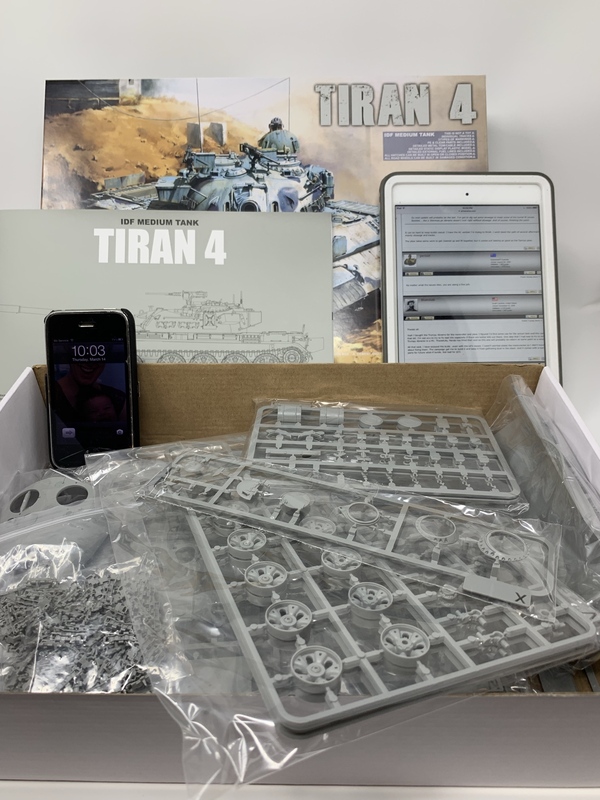 Takom's Tiran 4. I took the picture last night. Here's some more showing the last thread entry for this campaign. 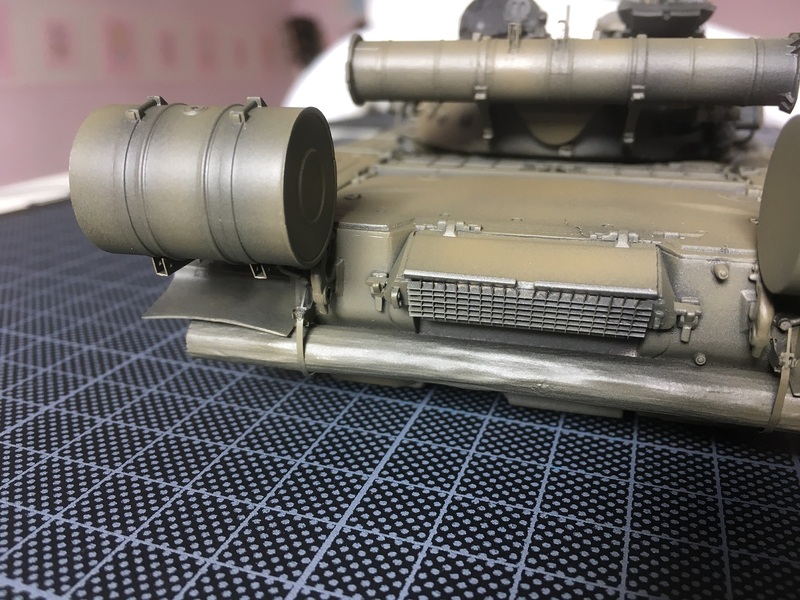 One of the first things to do is to remove the bulge on the sides of the hull. I tested two approaches, first one is to saw it off. The other is to clip it off using a side cutter. Verdict, clipping it off is a better approach. 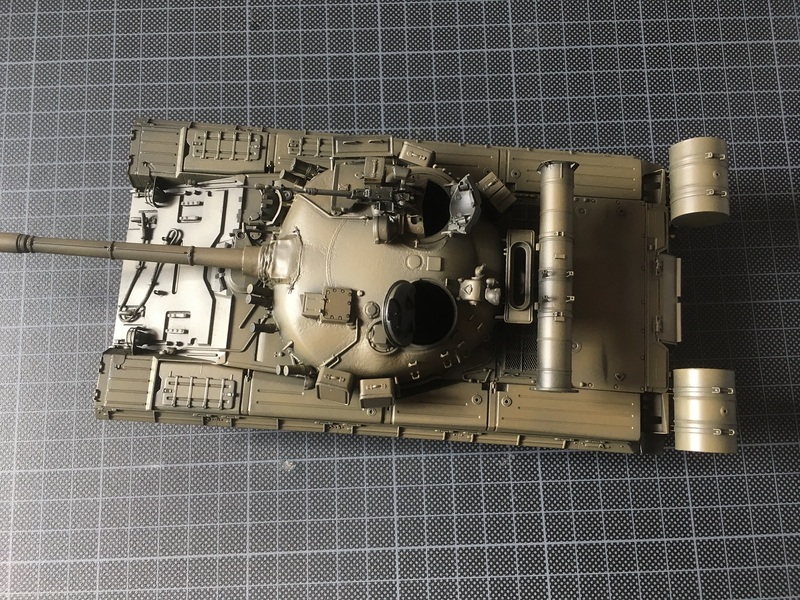 I will be adding build progress to my ongoing thread about building T-55s. 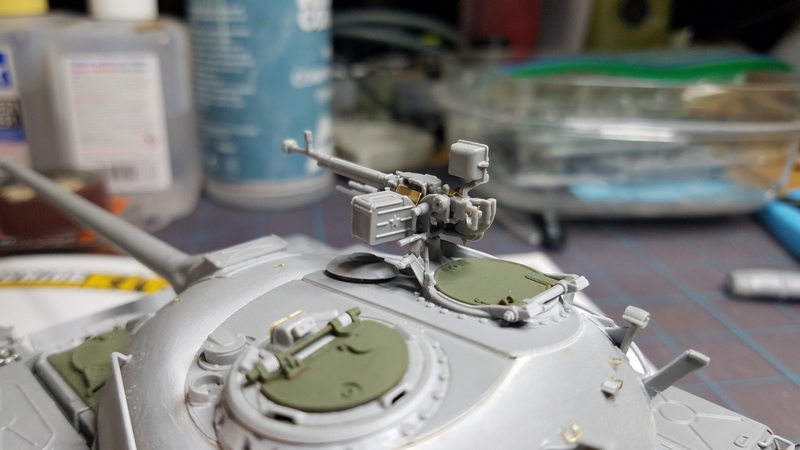 An update on my Trumpeter T-80B. It was black primed earlier this week and looked insane. A closer shot from the turret. That big rounded part under the turret is the top of a ironing-fluid can. 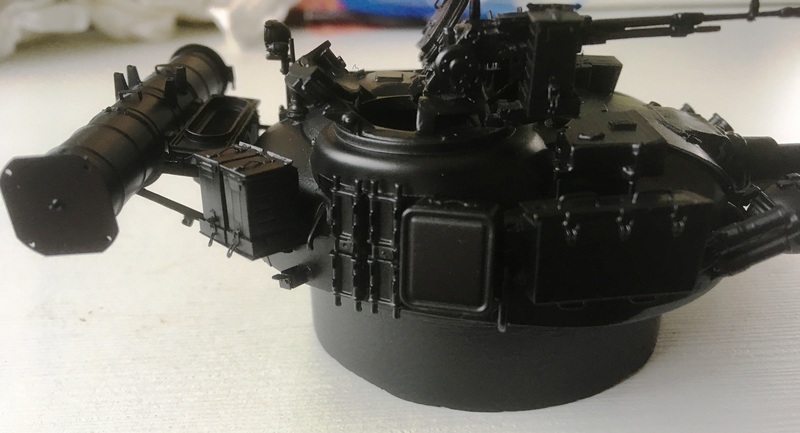 It was inserted because the turret is not fixed at all to the hull - it must be typical for Trumpeter because my T-72 has same issue. 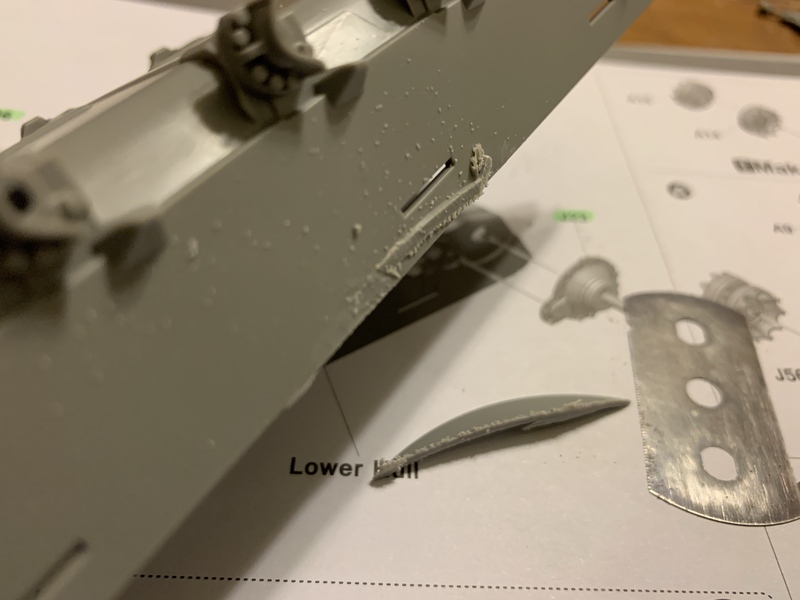 As the turret did fall, it resulted seriuos damage to the AA-MG. Now it is fixed using this cap that is getting very deep into the hull. After fixing some issues observed after the primer dried, yesterday evening I sprayed the first attempt of final colour to the T-80B. I used MIG AMMO 056 Green Khaki from the Moder Russian Colours set and although initially it looks weird, I was very happy with the shade this morning. The searchlight cable (top right side of the turret, in front of the TC cupola) is the molded-on part was scribed seriously. (I always re-scribe all possible panel lines etc... to enhance the depth and shadow effect during the weathering process. It does make sense, I think.) I also drilled a hole to the end-hook part, I believe it looks quite realistic now. The Voyager PE exhaust is completed now and looks much better than the platic version, provided in the kit. And finally two top side view about the model. There is another evening needed to finish the basic colour, including the wheels, too. Probably on the next weekend. I am following your build with high interest. 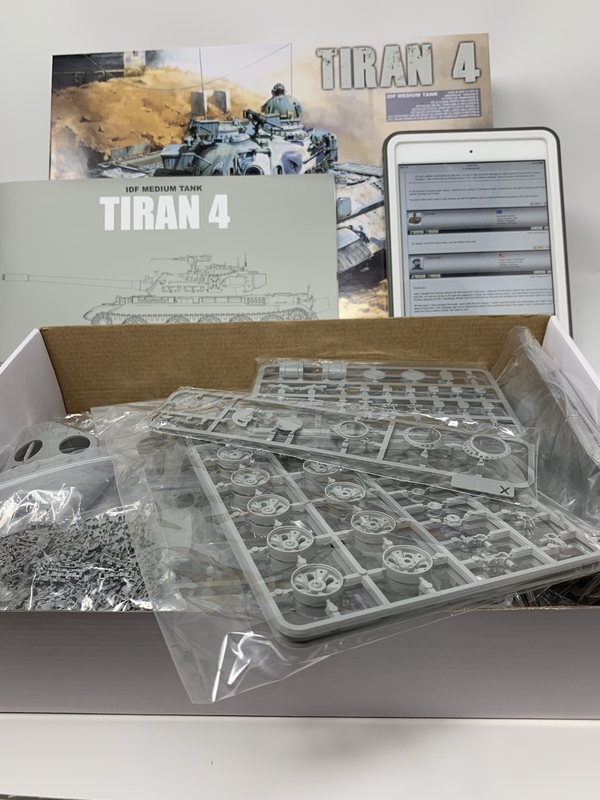 I built a Tiran 5 version using Takom's T-55A plus aftermarket conversion kits (resin set from Blast and PE from Eduard). 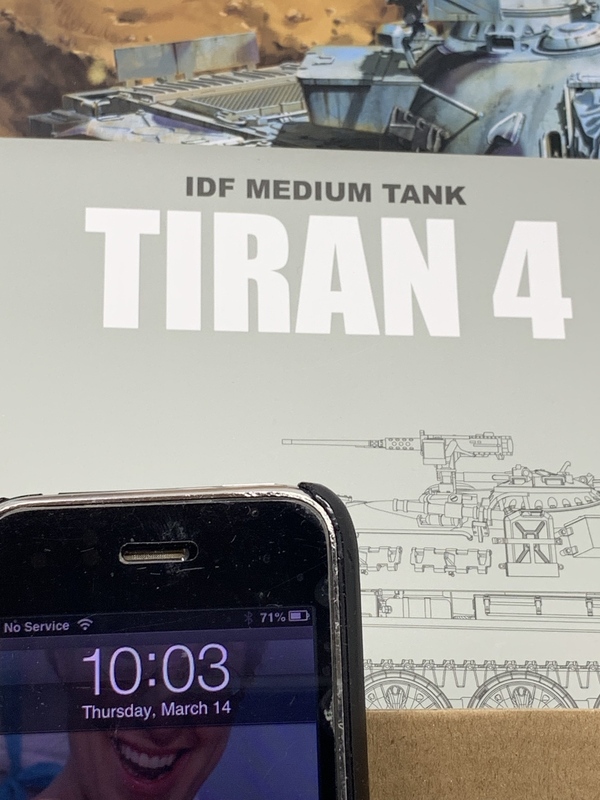 There is the Trumpeter Tiran 6 in my stash, too. All three tanks are beautiful beasts. 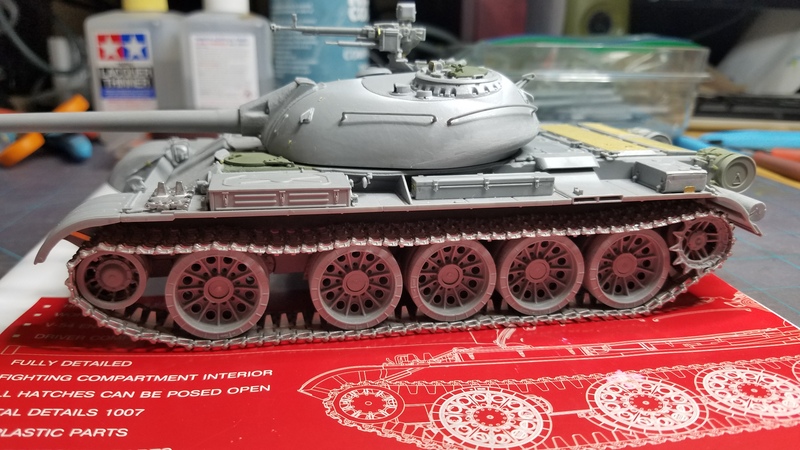 Progress has been slow on my T-62. Hoping to get the weathering done over the next two weeks. Many fine builds coming together for this campaign. Great work guys! Small progress on my part. Painting complete and decals with clear coat, as well as some stowage bits. Weathering next. Postman brought me this one. Been lurking mostly, fought off four head colds within the last 2 months or so. My daughter is bringing these colds home from school for me to sample and I must let you know that it’s tough on the old body. Really knocked the initiative out of me to do much of anything but I’m back. 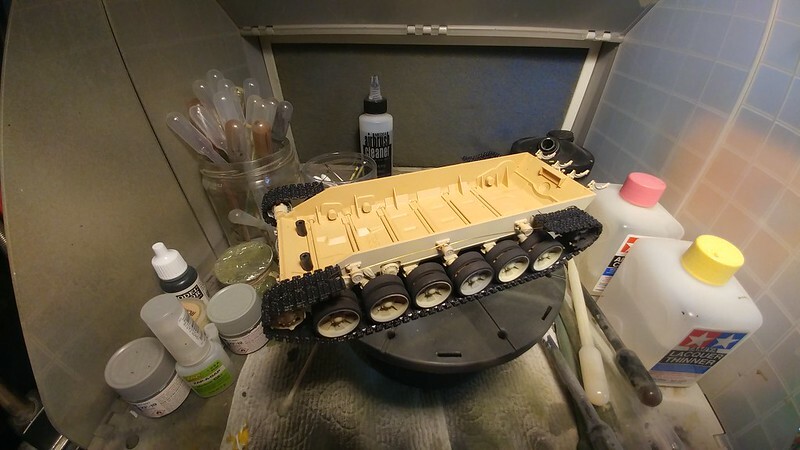 Some great modeling taking place here and some of you have already finished your builds, and even a few of you building more than one! I need to step up on my game and do some building here. 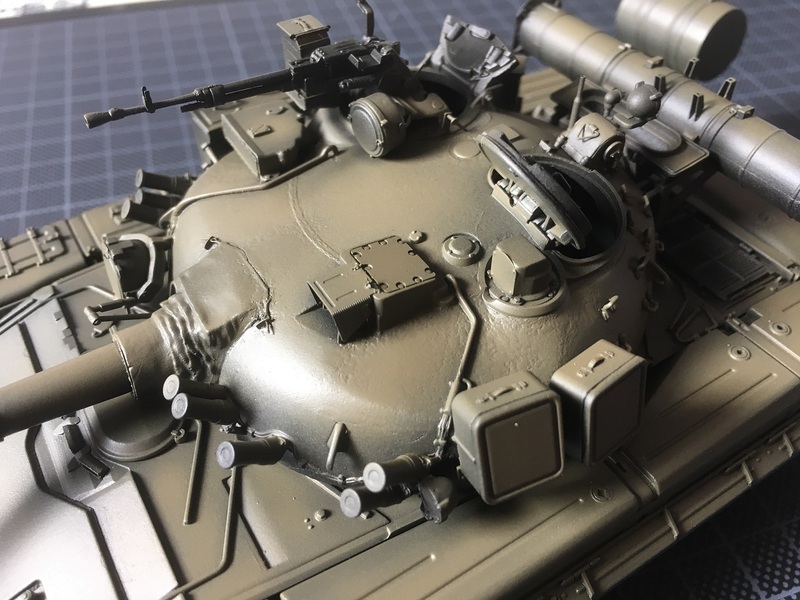 Takom T-54B Late - MBT Campaign. after moving to a new home and some troubles on the job, I finally Manager to get some things done on the Chieftain. So, that's what i've done untill now. BTW, all the models shown here are absolutely stunning!! I hope that some day i'll reach this Level of professionalism. that's where i'm now with the Chieftain. Now I have to wait for the Masterclub tracks (old/destructed). They will arrive next week, hopefully. Regarding the paintjob, I have to do some touch-ups, and then comes the camouflage net from Voyager. And the broken mirrors have to be repaired. The Chieftain is looking great Alex. 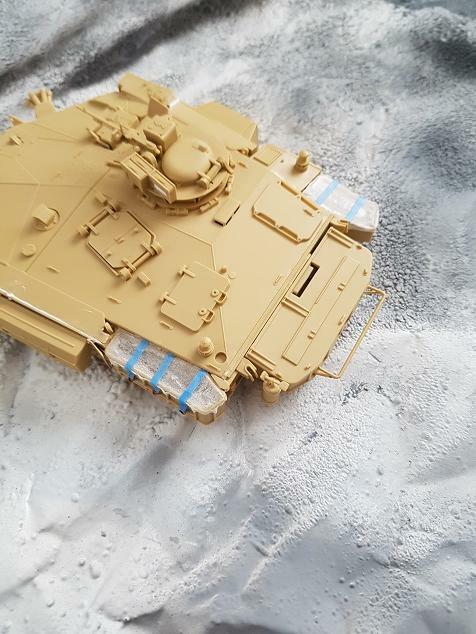 Construction of the T-90MS is almost complete, I have sprayed an initial coat of AK Russian Greyish Yellow. Since the upper run of the tracks will be hidden by the skirts, I did some cheating. 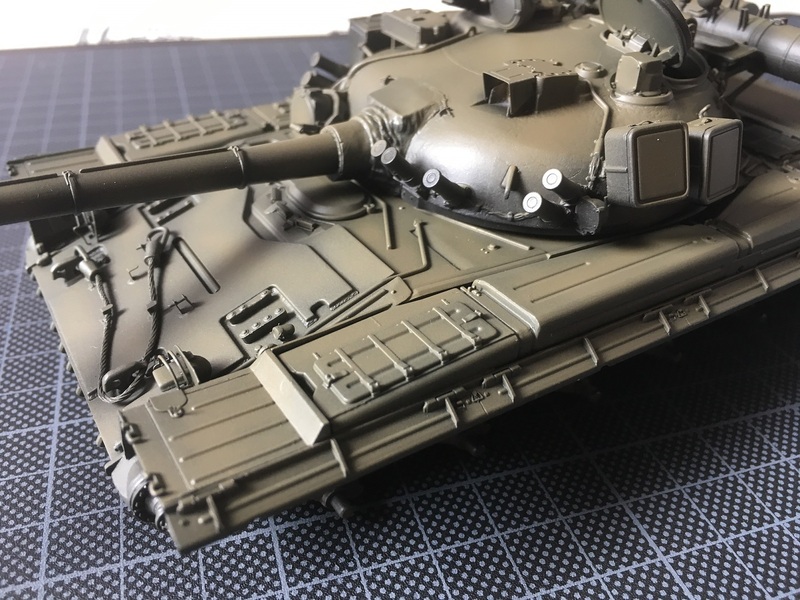 Overall it has been a very enjoyable build, much easier than the Trumpeter T-72/T-90 kits. 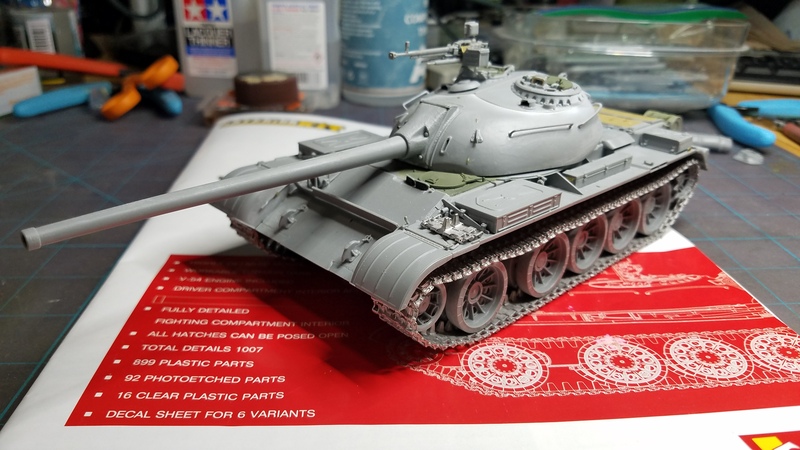 Finally returned to the Miniart T-54. Almost ready for paint, still need to finish cleanup on the roadwheels and install the hub covers. Decided to go with a set of masterclub tracks, which ended up needing a ton of clean up. Got to practice my microsurgery skills with some of the smaller PE. I'll be so glad when this thing is done. Very impressive build! 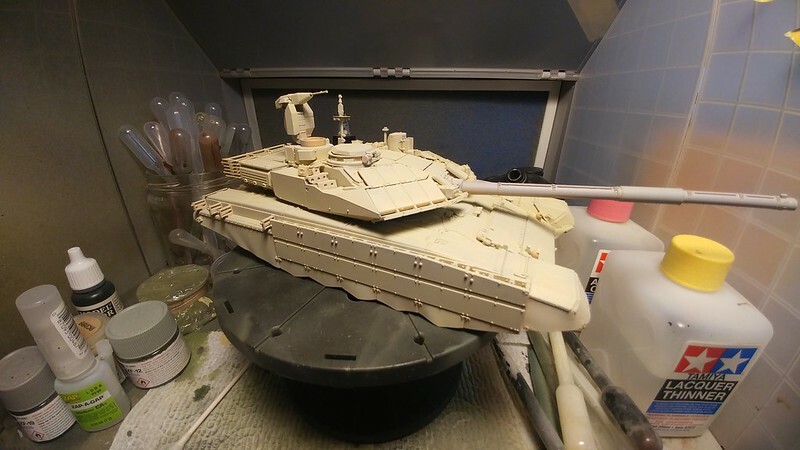 I did not know this configuration so far, the entire tank looks very futuristic compared to the traditional T-72 line. 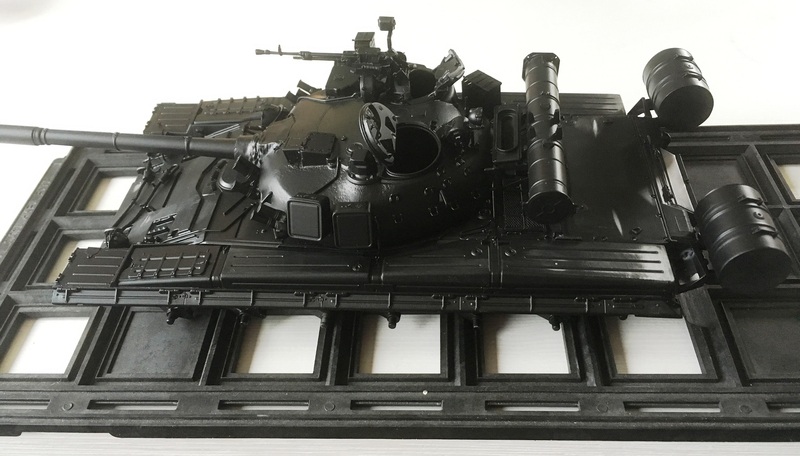 This T-54 looks great with the mc tracks, very realistic, IMHO. 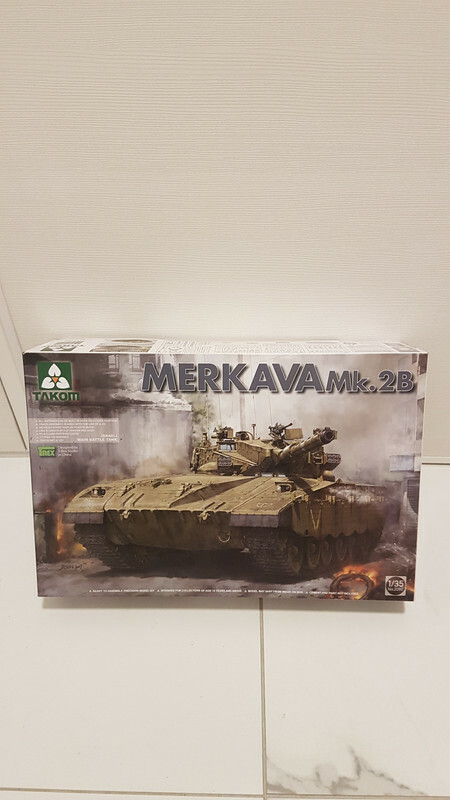 For which army/nation do you plan to paint it? Did you receive the new tracks? I have a similar Chieftain in progress so I am watching your progress with interest. 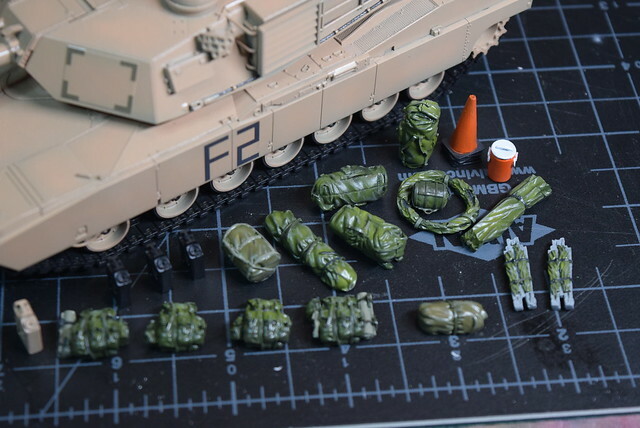 I will be using the kit decals for a Russian tank in overall Protective 4BO Green. I got the model almost completely painted yesterday, including the road wheels. I just have the tracks and some other small details to finish before decals and weathering. I'm feeling good about this build. It was the last kit I started back in December and it didn't languish for too long on the shelf of shame. I don't have a good track record with finishing full interior kits. I have seven other builds at the paint and decal stage at the moment. I should have those pounded out before summer. I'm hoping to have 20+ builds completed this year, all from the shelf of shame. yes, I got the tracks yesterday, and they look really fantastic. I'll build them, as soon as there's time. And thank you, for the tip with the mirrors. Maybe I'll find some photos in the net which show the Chief without them. Aside from my "incompetence", the kit is real fun to build, as you will surely See. it's to the scratchbuilding i go and i have made some covers out of tissue paper, copper wire and 2mm masking tape. Hi Alex, I crewed Chieftains for 7 years and in that time never fitted wing mirrors once. The arms were folded down against the sponsons to keep them out of the way. 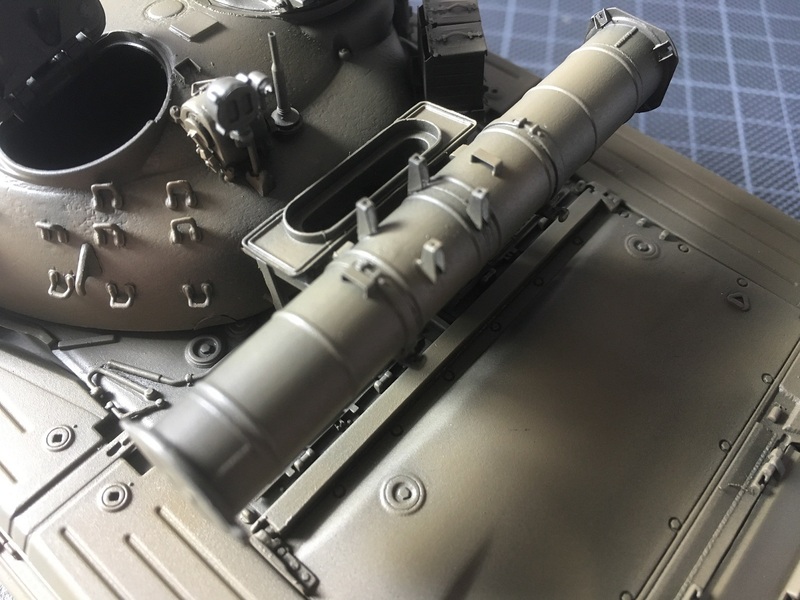 Also the barrel thermal sleeves were never painted, just the fume extractor would get a coat and the muzzle. if you are going to fit a cam net over it though I don't suppose that will matter. Cavalry add style and panache to what would otherwise be just another s**tfight between grunts. thanks for the Info with the mirrors. I will leave them off. But now I have another question: the sleeve around the gun, which colour was it? More like khaki, or more brown or like a mixture of both? Or did it have a total different colour? 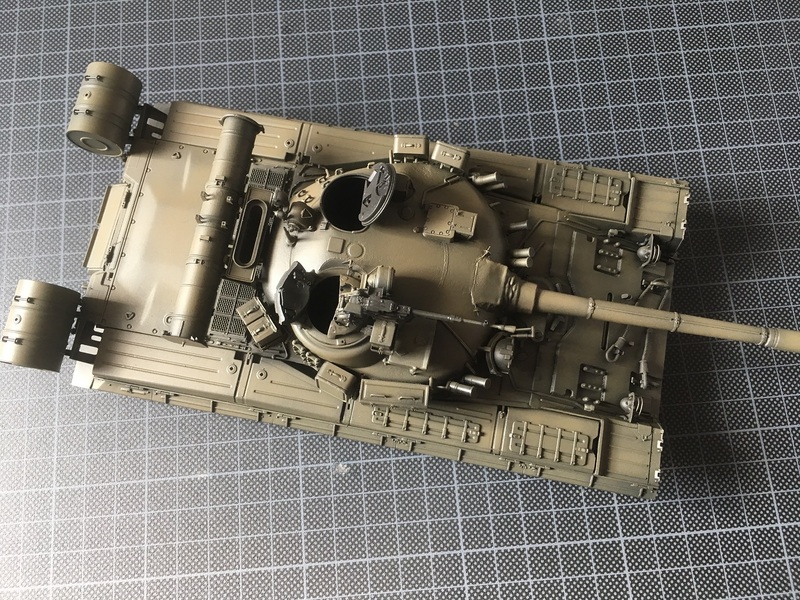 So, after trying to put the tracks of my Chieftain together, I must say that there's a small problem. The pinholes are to narrow. The tracks on my T-80 were perfect, but not these. Don't misunderstand me, the casting is superb (!!!) but the fit is questionable. So now I'm waiting for some 0.65mm to arrive. When the postman brings them, I can enlarge the holes, insert the pins and maybe add a tiny drop of CA (if nessessary). Wow a lot of fantastic builds going on here. So many guys doing great work. And new recruits joining up.